Here is a Map Of Riding and Parking Areas For Black Bike Week during Black Bike Week. 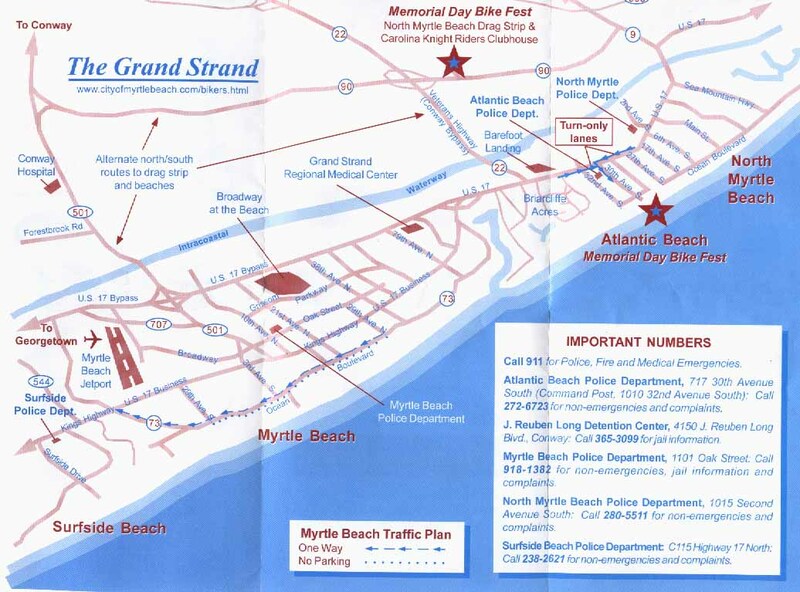 Black Bike Week takes place in Myrtle Beach, SC during Memorial Day Weekend annually. 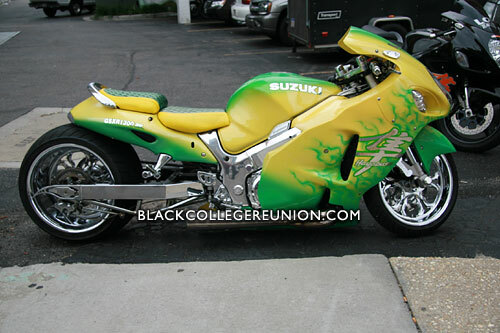 The event is all about riding motorcycles and getting to know other black people who ride. The atmosphere is similar to that off Black College Reunion in Daytona Beach, FL but the area covered is so large that in order to really experience it all you must have transportation. This event has been suffering a decline in numbers partly because of the city of Myrtle Beach pulling away the red carpet. More people are opting to spend their time and money on South Beach for Memorial Day Miami.